A new Best Practices document for addressing human disturbance to migrating shorebirds is now available on the Atlantic Flyway Shorebird Initiative (AFSI) website! Phone number: 1-415-527-5035. The session password is GDUgHAPe. Whether you’re a biologist, land manager, or outreach specialist, this document can be useful to you! To learn more about how this document was developed and how you can use it, join the document’s authors for a webinar. We will walk participants through the key components of the document, focusing on how it can be applied to assess and manage human disturbance to migrating shorebirds at local sites. We will also highlight how our transdisciplinary approach makes this best practices document unique, sharing key lessons learned. Your questions will also be answered. Stay Tuned for another guidance and best practices document for predator management, coming in the next few months to the AFSI webpage. A related informational webinar will be announced soon. Lara Mengak recently graduated with her Master’s degree from the Department of Fish and Wildlife Conservation at Virginia Tech. 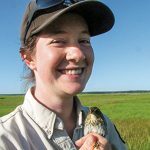 Her research interests include human-wildlife interactions and coexistence, conservation behavior decision-making, integrating social and ecological data, and more generally, bird conservation. Lara earned a BS in Ecology with minors in Anthropology and Comparative Literature from the University of Georgia in 2014. 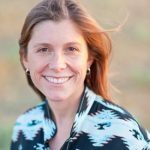 Ashley Dayer is the Assistant Professor of Human Dimensions in the Department of Fish and Wildlife Conservation at Virginia Tech and Affiliated Faculty with the Global Change Center. 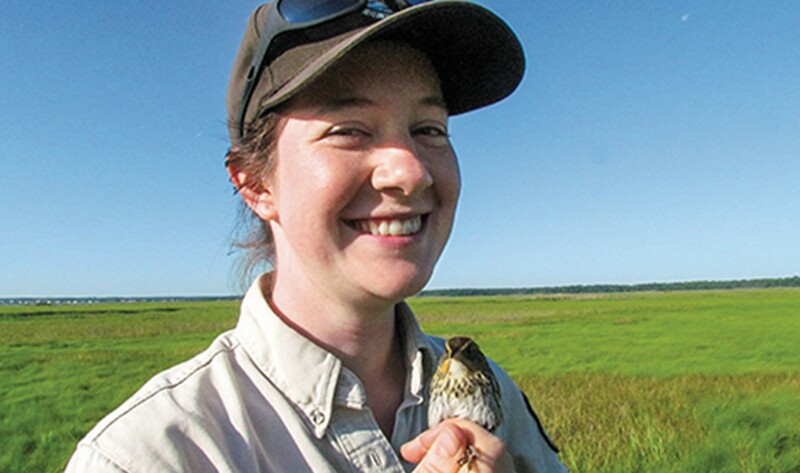 Her conservation social science research addresses habitat on private lands, conflict over endangered species, conservation behavior of recreationists, and science application by managers. 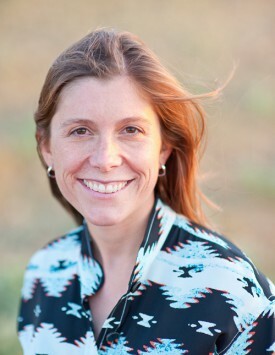 She earned her PhD in Natural Resources from Cornell; her MS in Human Dimensions of Natural Resources from Colorado State University, and her BA in Environmental Science & Public Policy from Harvard University. 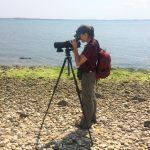 Becky Longenecker is a wildlife biologist for the National Wildlife Refuge System at the USFWS Northeast Regional Office in Hadley, MA. 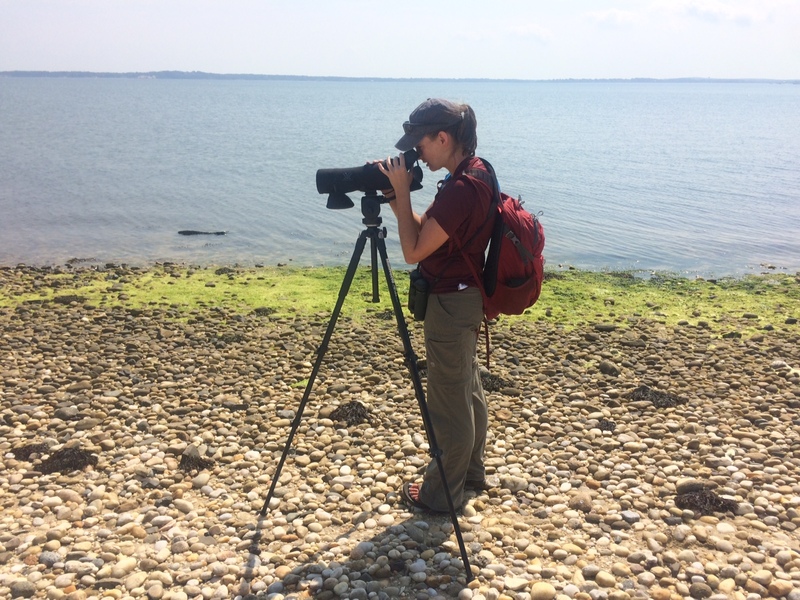 She coordinates a variety of applied research and management projects on National Wildlife Refuges, on topics such as migratory shorebird disturbance, native pollinator conservation, and human infrastructure impacts to aquatic connectivity. She earned a PhD and an MS in Wildlife Ecology from the University of Delaware, and a BS in Biology from Messiah College. 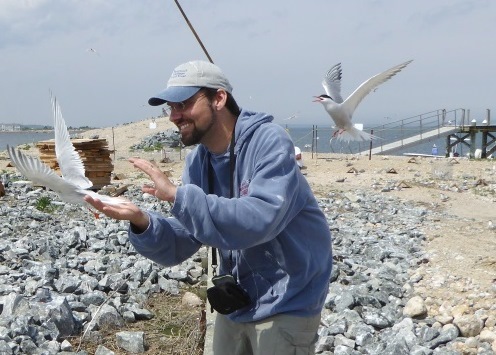 Caleb Spiegel is an Avian Biologist in the Migratory Birds Division at the USFWS Northeast Regional Office in Hadley, MA. 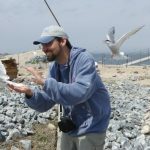 He oversees conservation and research projects in offshore, nearshore, and coastal environments, and works with partners to develop and coordinate seabird and shorebird organizations and planning efforts. Recent projects focus on minimizing conflicts between birds and offshore energy development, reducing bird bycatch in commercial fisheries, and implementing the Atlantic Flyway Shorebird Initiative. Caleb has a MS in Wildlife Science from Oregon State University, and a BS in Environmental Science and Biology from St. Lawrence University.